Understandably, you won’t find these English-language or international newspapers either at 7-eleven in Hong Kong and Taiwan, although if you go to foreign bookstores or magazine stores (like Relay, or that one on the picture, in Admiralty’s Queensway Plaza shopping mall) might find a copy that is perhaps a week late in most stands, or less if you are looking for something like the Economist, published in Hong Kong for the Asia region. 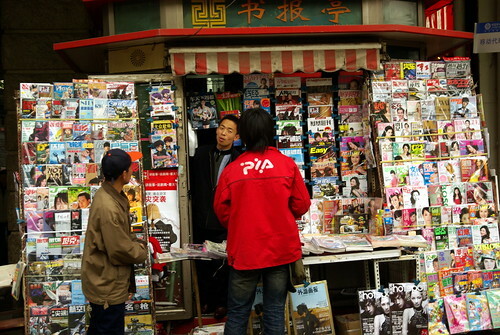 One has to look hard, or ask around (which I did not do), in order to get foreign magazines in hard copy (why get a hard copy though, when you could buy a wifi-enabled device and read stuff online?). 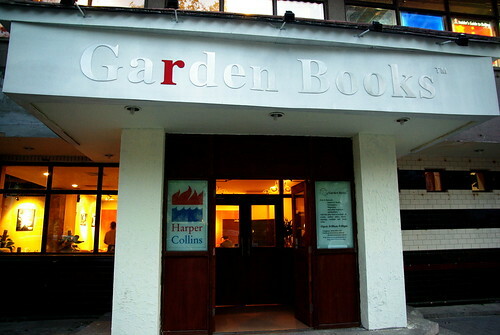 So, while hanging out at the Sequoia Cafe, an expat joint near Jianguomen station (they make good American food and regularly have quiz nights mainly catering to expats in search of networking activities), I realized that the second floor was a foreign bookstore called “Garden Books”. Directions: Go to Jianguomen station, at the eastern intersection between Lines 1 and 2 (red and blue), walk to B exit, turn right and go along the highway, and then turn right at the first street (there is a China Post, and also a Shenzhen Airlines tower currently in construction). Walk ahead one block and you will see Sequoia and Garden Books. To be fair, the newspapers were a day old, and the choice of magazines pretty limited. 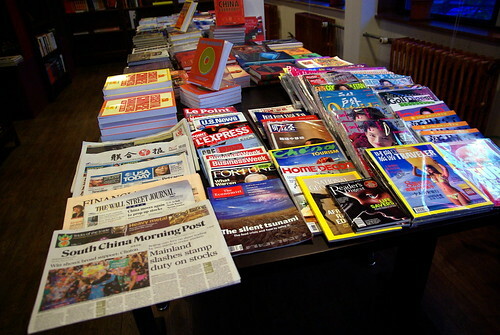 But indeed it was possible to find foreign readings in Beijing.